There are plenty of guides on this subject on the market, thanks again for choosing this one! Every effort was made to ensure it is full of as much useful information as possible. Please enjoy! This is an excellent, very precise and detailed book. 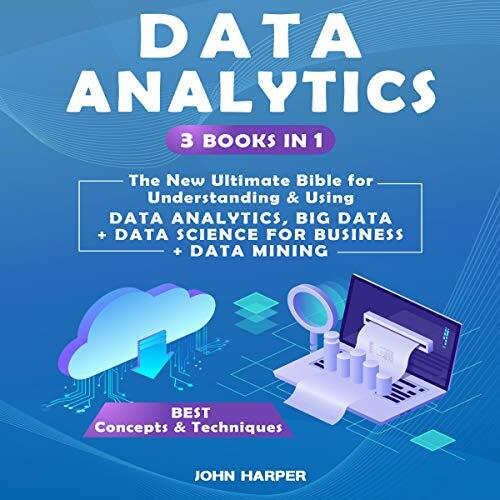 The book is well-structured, gives me the full knowledge of big data and the technique how to analyze the data which is very useful for my job. I would recommend this book to every students and IT professionals! The best thing that I found in this book is solved problems. The problem can be solved by using analysis tools but we do not get what is going under the hood. It explains very clearly where, when and how to use different data analysis techniques and tools. I would say that this book is a gateway to the world of Data. This book really help me a lot in understanding big data analytics because the contents are easy to absorb, especially with the given real life examples. With the help of this book, everything seem to be easier to connect from one to another. I would recommend this book to others who want to improve their knowledge quickly around the area of data analytics. I found this book very interesting, it opened my eyes to things that I didn't pay attention. I suggest this book for peoples who want to know what data analytics is about with different examples. I took this book as a recommendation for my masters class by my professor. It has helped me get an insight of what data analytics is and how can one apply it to their need. As a basic introduction to “Big Data” this works well. It is easy to follow and isn’t as full of hype as many introductions to this topic. If you are already employed in this area than the book might well be a bit too basic for you but if you are curious about this subject this book could be very useful. It is quite short but it doesn't contain much padding. This book is perfect for someone like me who doesn't understand enough but also doesn't want to become a data scientist. It is very easy to listen, very informative. A very good read for interested people either as a job or just interested in the power of data. Therefore strongly recommended. The book is quite useful in providing the strategy behind Big Data usage as well as providing some good ideas about how to use Big Data. Anyone interested in data, in any capacity, should read this book. what is discussed are the pivotal changes and accomplishments in the field of data management, business intelligence, and the world as we know it. Geeting to know big data is a matter of urgency. This book must be internalize to make information an every day business.